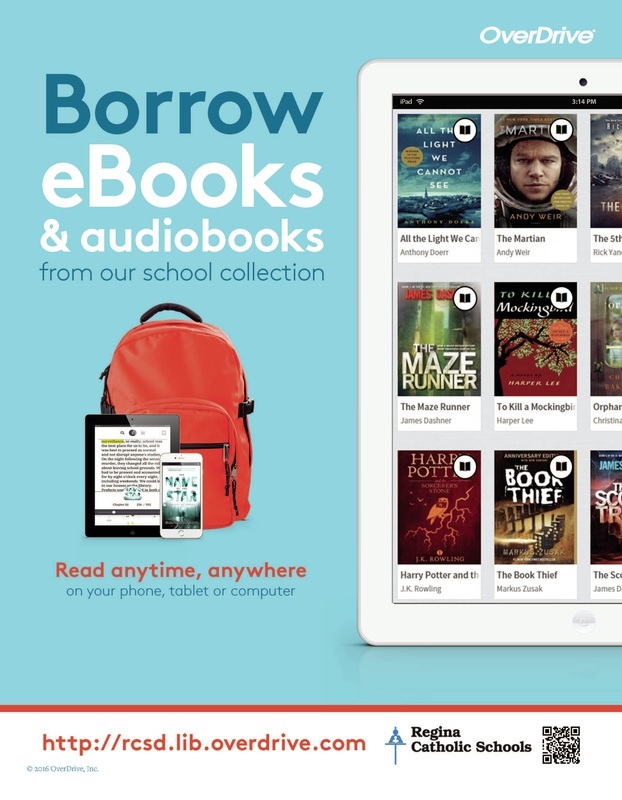 Students have access to books, magazines, reference material, newspapers and information files as well as on-line databases found on Regina Catholic School's home page. Computers are available for library and interent searches and word processing. Students are issued a library card in early fall. The library card is required to borrow library materials. Students are asked to keep their library cards at school for easy accessibility. This website provides a wide open system search. Go to the <Libraries> button to select the specific library you wish to search. Students click on title to find out how to set up your OneDrive. Students follow the procedures so you can share documents with your teachers.